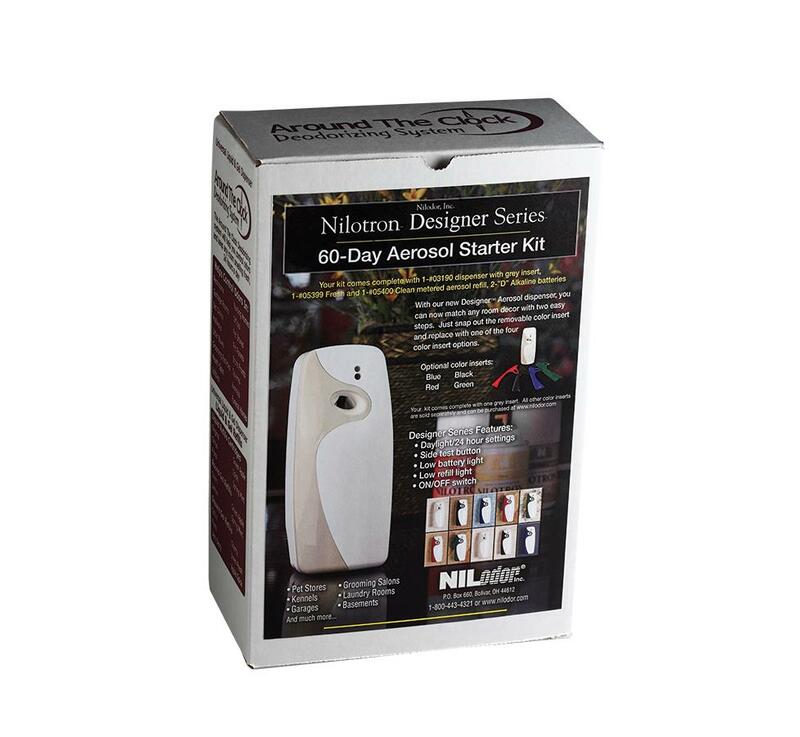 Around-The-Clock Aerosol Starter Kit allows you to sample two popular fragrances while in full control of your odor elimination needs.This kit allows you to control the strength of odor elimination with a 7.5, 15 or 30 minute dispense adjustment. The unit can be set to shut down in darkness, thereby saving you money when the lights are out. Also has low/empty can and low battery indicator lights. A test button allows you to check for correct can/battery installation.This kit is complete with one Designer Aerosol Dispenser, two aerosol refills and two D Alkaline batteries. AEROSOLS SHIPPED VIA GROUND ONLY. DOMESTIC SHIPPING ONLY!